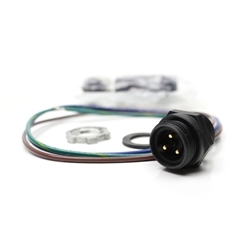 The Dotworkz Single Outlet Pigtail for 120 VAC Power Accessory (KT-ACSO) easily Installs onto Power Block on all Dotworkz MVP Enclosures. It's a compact power integration solution for wall warts or other step down power supplies. A quick and convenient 3 wire Installation with color coded stranded electrical wires. The KT-ASCO comes pre-tinned for easy and secure clamping into existing screw terminals. Dotworkz now offers a Sunshield accessory for the S-Type Housing. IN-SUN-ST is a cost effective, filed installable solution to reduce the thermal loading inside the S-Type housing, keeping you security camera and security camera equipment running cooler in direct sunlight. With its streamlined design and ultra clean covering, this new sunshield kit offers an easy to install, cost effective solution to your already stellar S-Type enclosure. Dotworkz KT-Shield Ballistic Armor Shield is the most durable protection solution to date. Engineered with dual energy absorption system of heavy gauge stainless steel and virtually indestructible thermoplastic, the Mark IV protects against small arms fire such as 9mm, 45 caliber ranges, and all forms of vandalism. The IK10 rated Dura View lens and Vandal Resistant Closure Screws are standard in the KT-Shield Ballistic Armor, and provide the highest rate of protection possible for sensitive cameras and electronic equipment. The KT-AXPA power & Audio accessory was created to provide a solution for customers who need a rugged yet cost effective solution to power the popular Axis P55 & Q60 cameras on via non-POE source, & capability to add a Microphone via inline 1/8”(3.5mm) Microphone Jack, to easily integrate this camera into Dotworkz D2 & D3 or other brands. Dotworkz now offers a Sunshield accessory for the S-Type Housing. KT-SUN-ST is a cost effective, filed installable solution to reduce the thermal loading inside the S-Type housing, keeping you security camera and security camera equipment running cooler in direct sunlight. With its streamlined design and ultra clean covering, this new sunshield kit offers an easy to install, cost effective solution to your already stellar S-Type enclosure. The KT-LSHT Lens Heating Kit 12VDC for S-Type Camera Enclosures combats the cold with the low wattage ring that goes around the camera lens for direct heating to ensure the lens stays fog free and ice free for the camera inside the housing. The KT-LSHT-24 Lens Heating Kit 24VDC for S-Type Camera Enclosures combats the cold with the low wattage ring that goes around the camera lens for direct heating to ensure the lens stays fog free and ice free for the camera inside the housing. The Dotworkz Sun Hood Kit for S-Type Static Camera Enclosures (KT-HOOD) is a great add-on kit for all S-Type static camera housings that require a little sun glare protection during sunrise and sunset. This Sun Hood kit provides that much need sun glare protection without obstructing the cameras viewable area. 2" Germanium Lens & Adapter Add-on for S-Type Enclosures (KT-THERM-GE) The KT-AXPA-S power & Audio accessory was created to provide a solution for customers who need a rugged yet cost effective solution to power the popular Axis P55 & Q60 cameras on via non-POE source, & capability to add a Microphone via inline 1/8”(3.5mm) Microphone Jack, to easily integrate this camera into Dotworkz D2 & D3 or other brands. Dotworkz KT-AV8000 Arecont AV Camera Lens Kit for integrating the Arecont AV 8185DN, AV 8365DN, AV 20185DN and AV 20365DN cameras to Dotworkz D2 and D3 enclosures. Dotworkz KT-Shield-10 Ballistic Armor Shield is the most durable protection solution to date. Engineered with dual energy absorption system of heavy gauge stainless steel and virtually indestructible thermoplastic, the Mark IV protects against large arms fire from 9mm to 10 gauge shotgun rounds including all forms of vandalism. The IK10 rated Dura View lens and Vandal Resistant Closure Screws are standard in the KT-Shield-10 Ballistic Armor, and provide the highest rate of protection possible for sensitive cameras and electronic equipment. Dotworkz KT-Shield-CD Ballistic Armor Shield is the most durable protection solution to date for all Dotworkz D2 Cooldome Camera Housings. Engineered with dual energy absorption system of heavy gauge stainless steel and virtually indestructible thermoplastic, the Mark IV protects against medium arms fire from 9mm to 16 gauge shotgun rounds including all forms of vandalism. The IK10 rated Dura View lens and Vandal Resistant Closure Screws are standard in the KT-Shield-CD Ballistic Armor, and provide the highest rate of protection possible for sensitive cameras and electronic equipment. Dotworkz BR-ACC-50 Custom Internal Accessory Component Mounting Plate. 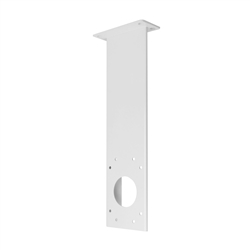 The Dotworkz Custom Internal Accessory Component Mounting Plate (BR-ACC50) was originally designed for Panasonic Analog and Network Cameras including broadcast electronics to be mounted inside the D2 or D3 Dotworkz Camera Enclosures. This Replacement Standoff Pack is the best solution for adding a space or replacing the existing standoff hardware that goes between any IP, HD, CCTV, specialty, or surveillance camera mounted inside a Dotworkz camera housings. The Replacement Standoff Pack (RP-STANDOFFPK) mounts securely on the internal camera bracket inside of all Dotworkz camera housings. This 5 Port Ethernet Switch Kit is the best solution for adding more network ports inside the Dotworkz D2 or D3 camera housings. The 5 Port Ethernet Switch Kit (KT-HUB5) mounts securely inside all Dotworkz D2 or D3 camera housings. This PoE Injector 12v Input 24 Watt with Acc Tray is the best solution for adding a 12v input 24 watt PoE injector inside the Dotworkz D2 or D3 camera housings. The PoE Injector 12v Input 24 Watt with Acc Tray (KT-POE-24) mounts securely inside all Dotworkz D2 or D3 camera housings. This PoE Injector 12v Input 35 Watt with Acc Tray is the best solution for adding a 12v input 35 watt PoE injector inside the Dotworkz D2 or D3 camera housings. The PoE Injector 12v Input 35 Watt with Acc Tray (KT-POE-24) mounts securely inside all Dotworkz D2 or D3 camera housings. This Quick Connect Power Connector is the best solution for adding a quick release or quick disconnect directly on the outside of a Dotworkz D2 or D3 camera housings. The Quick Connect Power Connector to D2/D3 Enclosures (KT-PWR-QC) mounts securely on the outside of all Dotworkz D2 or D3 camera housings. This Axis Q60 Standoff Extension Pack is the best solution for adding space between the Axis Q60 camera mounted inside a Dotworkz D2 or D3 camera housings. The Axis Q60 Standoff Extension Pack (KT-Q60-SPCR) mounts securely on the internal camera bracket inside of all Dotworkz D2 or D3 camera housings. This Quick Connect Power/Ethernet Connector is the best solution for adding a quick release or quick disconnects directly on the outside of a Dotworkz D2 or D3 camera housings. The Quick Connect Power/Ethernet Connectors to D2/D3 Enclosures (KT-QCSET) mounts securely on the outside of all Dotworkz D2 or D3 camera housings. This Quick Connect Ethernet Connector is the best solution for adding an ethernet quick release or quick disconnects directly on the outside of a Dotworkz D2 or D3 camera housings. The Quick Connect Ethernet Connectors to D2/D3 Enclosures (KT-RJ45-QC) mounts securely on the outside of all Dotworkz D2 or D3 camera housings. The D2 Cooldome 12v Outdoor Power Pack Pole Mount Kit and Back Bracket (KT-CDR-2-AC) mounts securely to any pole diameter providing angle correction for any d2 camera housing. This Power Step Up Kit for 12V DC TO 24V DC is the best solution for stepping up the 12v DV to 24v DC and mounts inside a Dotworkz D2 or D3 camera housings. The Power Step Up Kit 12V DC TO 24V DC (KT-SU-24) mounts securely inside all Dotworkz D2 or D3 camera housings. Rechargeable moisture absorbant canister designed to remove up to three cubic feet of moisture. Generally used in the cooldome. Dotworkz KT-HRC1 Humidity Removal Pack. The Dotworkz Xero Kit to integrate our Xero and Xer 2.0 NVR modules into our D Series enclosure systems. Exclusive from Dotworkz: Axis P5534 HD camera power / line out cable - quick connect, pliable 10" power cable enables the new Axis P5534 camera to be powered by 24VDC or 24VAC input voltages.